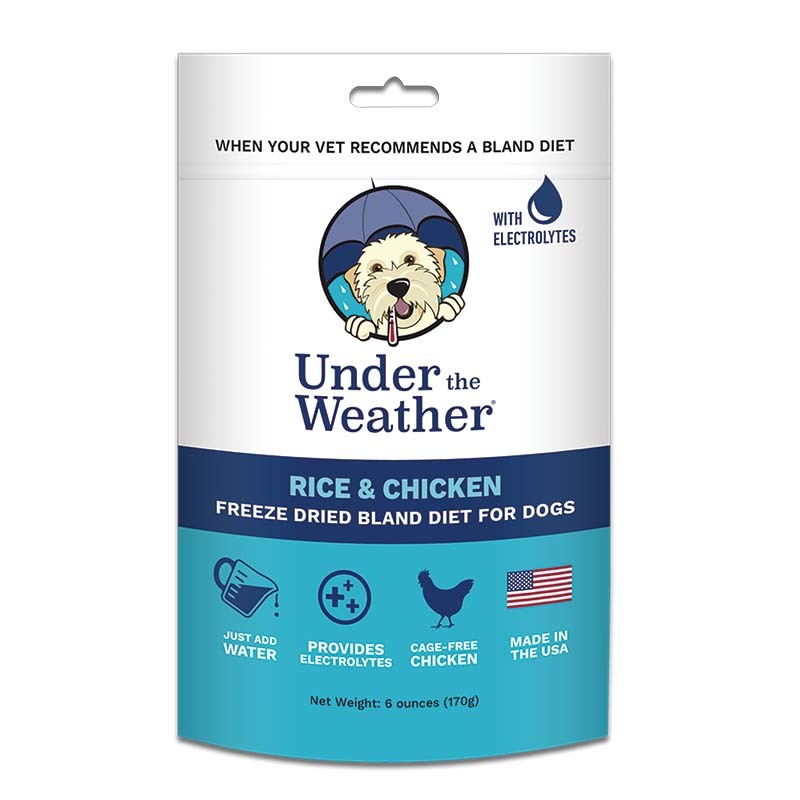 Under the Weather offers a unique freeze-dried option for pets with digestive issues when the veterinarian suggests a bland diet. No more cooking needed, simply boil some water and this option is ready within minutes. Package size 6 oz. Sourced and manufactured in the U.S.A.